We were on our annual Maple Festival journey in Highland County, VA. There is a small community at the base of the second mountain ridge we had to traverse to get there. 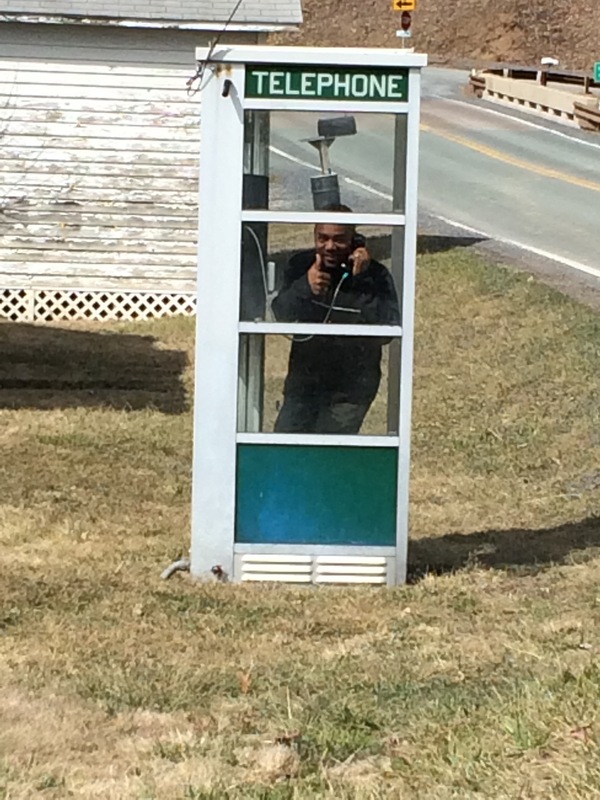 It is in this valley that we passed this pay phone. My freshly grown children declare these are basically obsolete and they have no idea how to use one. So we had to take a picture of this and send it to them. And yes the phone works! Lol!! Upon seeing us do this, other travelers started pulling over and taking pictures in the phone booth as well. I just wished I would have taken a picture of it.